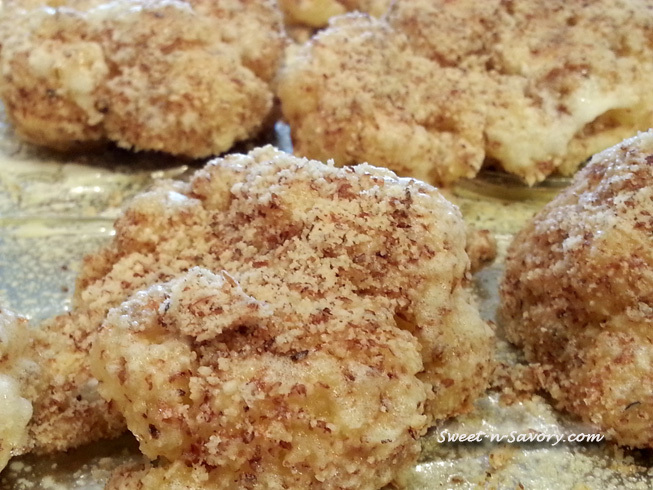 A twist on battered and fried cauliflower my mom used to make, this simple preparation packs a lot of taste, and nutrition, without the extra fat. 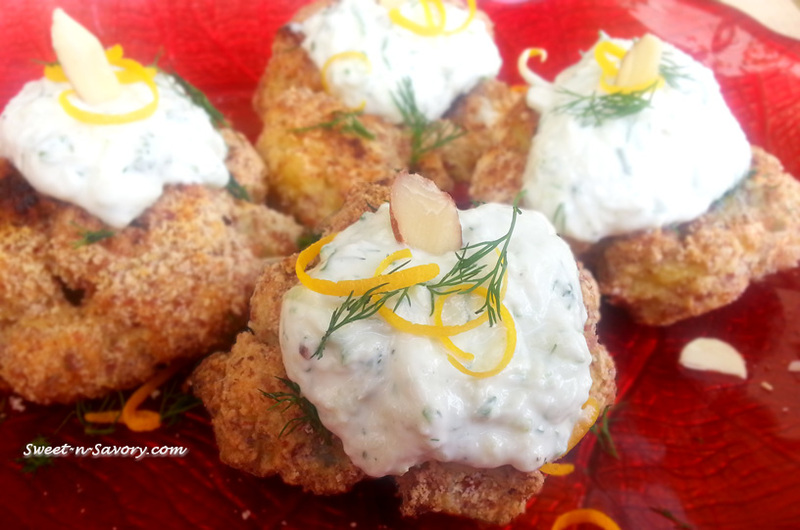 Crunchy almond shell and soft seasoned cauliflower pairs very well with the cool yogurt tzadziki sauce as a side dish, appetizer or a meal on its own. Break the eggs into a bowl and whisk until the mixture is uniform, season with salt pepper and oregano. Place the almond meal into a separate plate. Spray or brush a baking pan with oil. 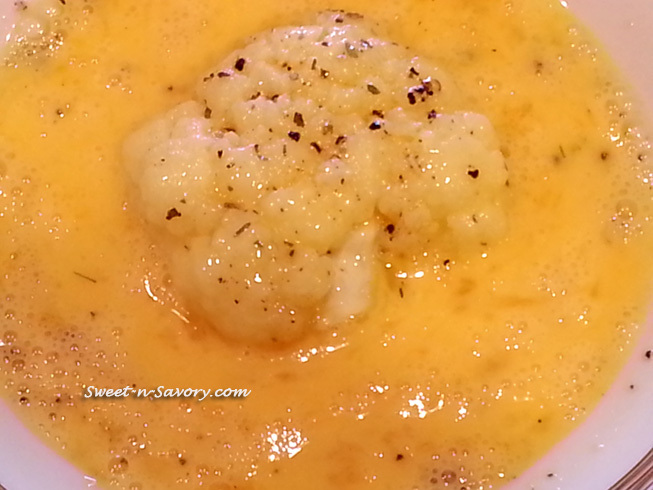 Take each cauliflower floret dip it in eggs , coat it with almond meal and then place it on a baking sheet. 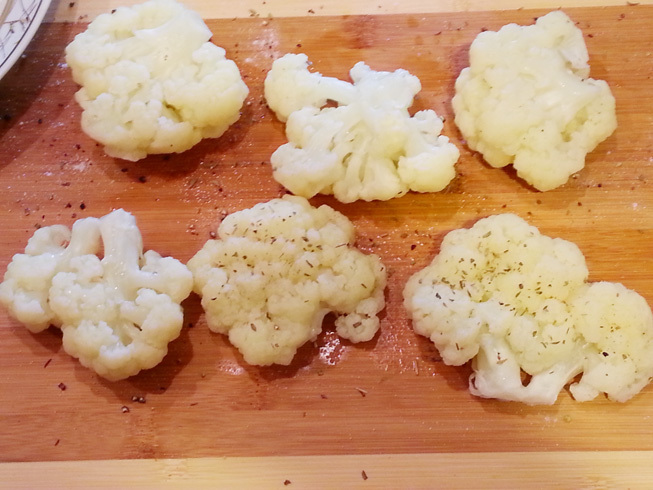 Broil the cauliflower on high for 10 minutes, turning the florets midway. 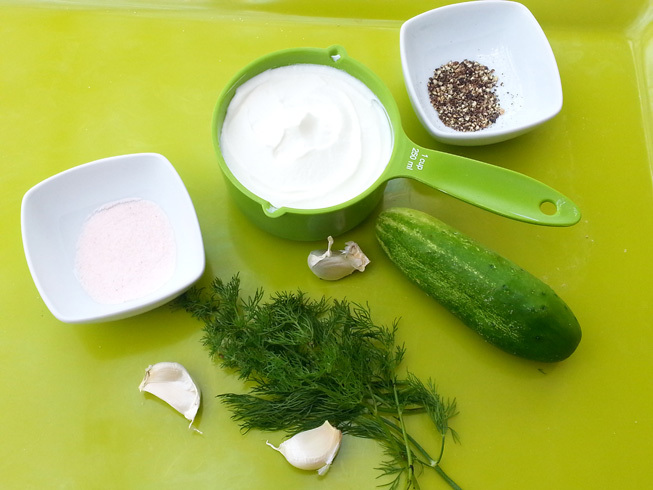 In a small bowl Combine yogurt, grated cucumber, a teaspoon of fresh lemon juice, a teaspoon of lemon zest, salt and pepper. Mix, adjust the seasonings, let stand for at least an hour. another great idea! I’ll definitely try that!